02-04 Ebay Foglights. 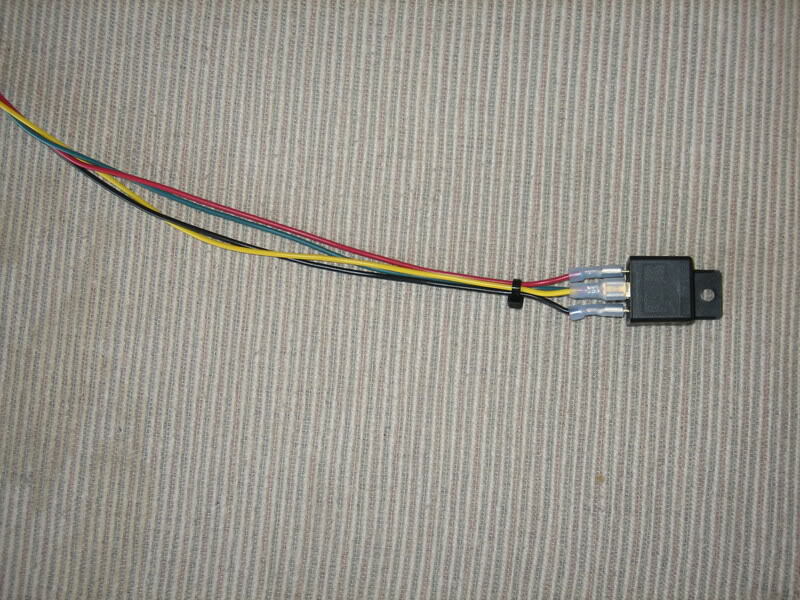 NO SWITCH HARNESS NEEDED! 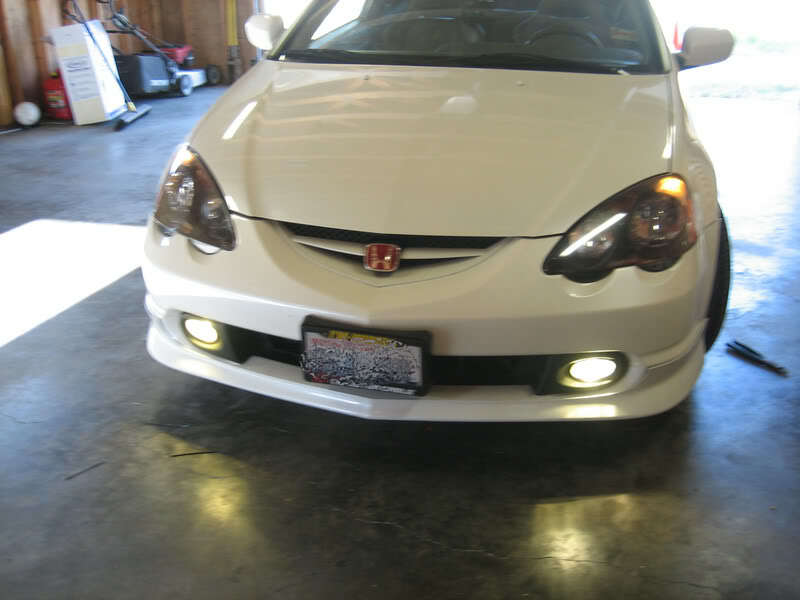 This install will make it so your fogs turn on and off with your parking lights. Disclaimer: This is meant as a guide to help you. 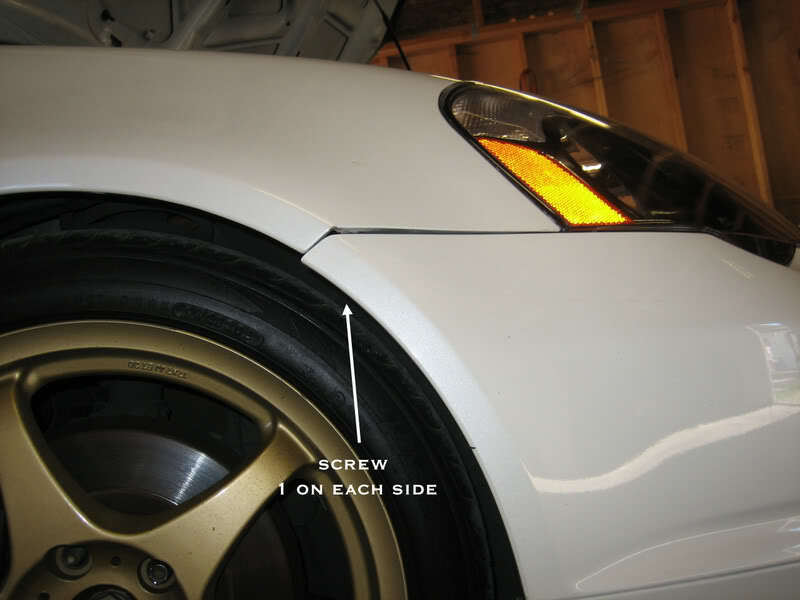 I am not responsible for any damage done to your car by you or anyones else that works on it using this guide. - 1 ft. each of Red, Yellow, Black, and Green wire. Next. 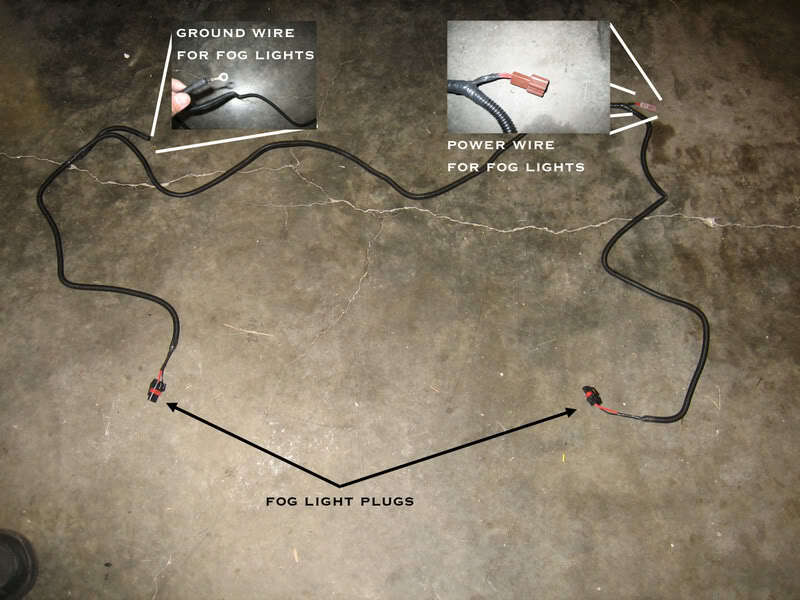 Lay out the ebay harness that connects to the fog light bulbs as shown in the picture. 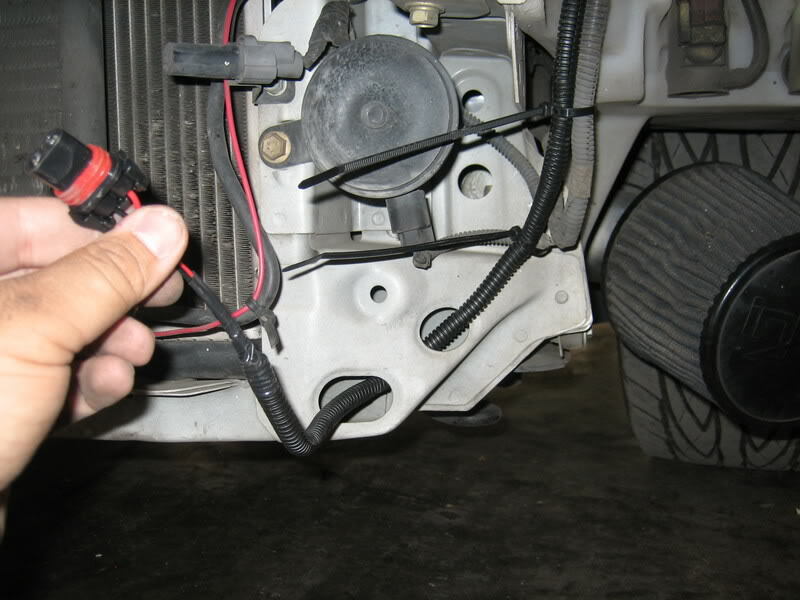 The brown plug should be on the driver’s side while the ring connector should be on the passenger’s side. 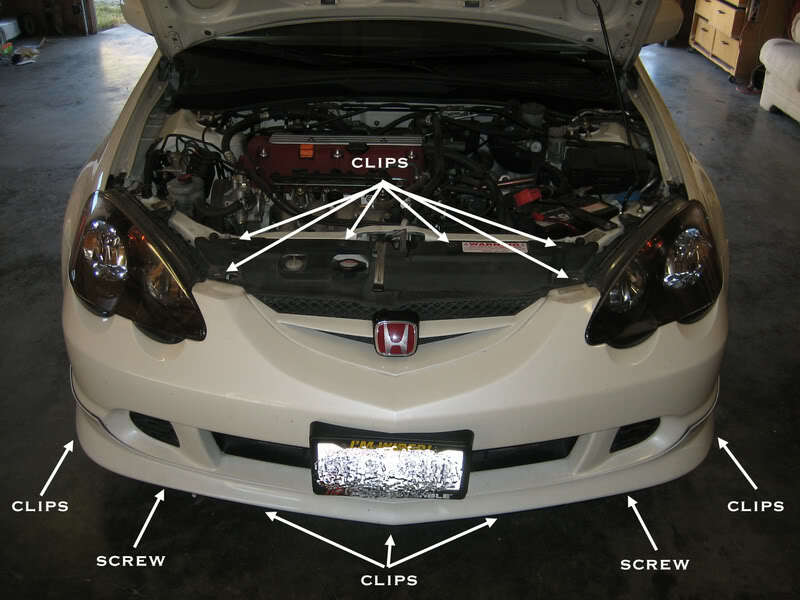 Run the plugs of the harness down below your headlights. I ran the harness across the radiator support. There is another harness under it you can Zip Tie the Fog Light harness to. Now that the harness is ran. Connect the ground ring connector to the10mm ground bolt with the dirty X under it. 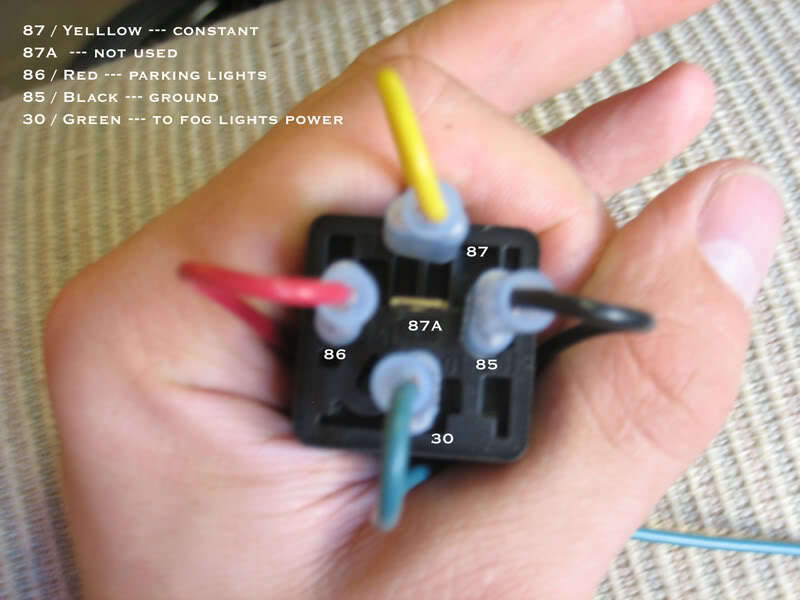 Wire your relay up just like this one. 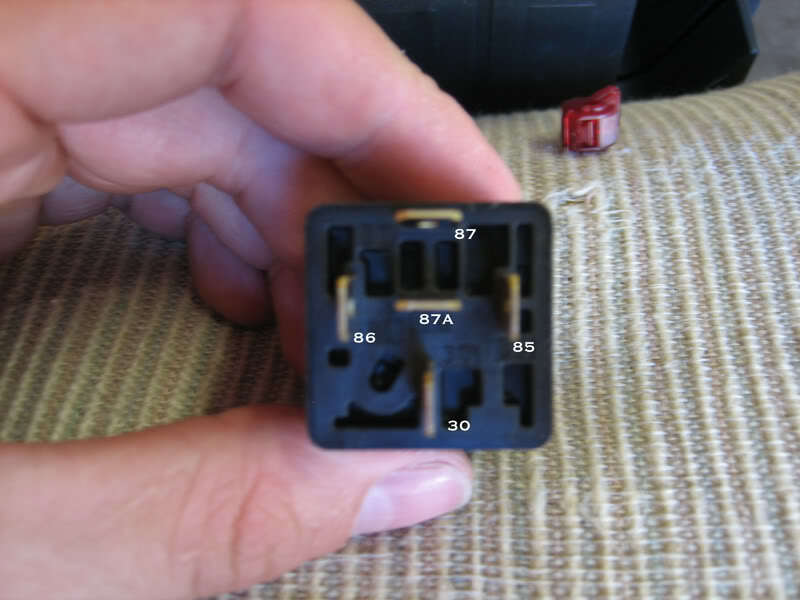 The numbers of each pin should be stamped in the plastic of the relay. We used 4 female spade connectors for the connections. Your relay pack should now look like this. Now it’s time to hook up the relay. 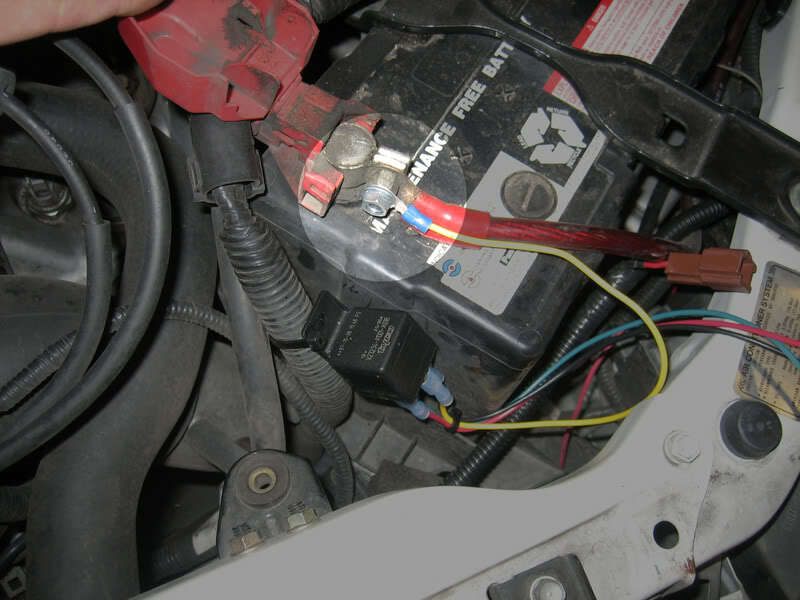 Connect the Yellow wire to the positive terminal on your battery. 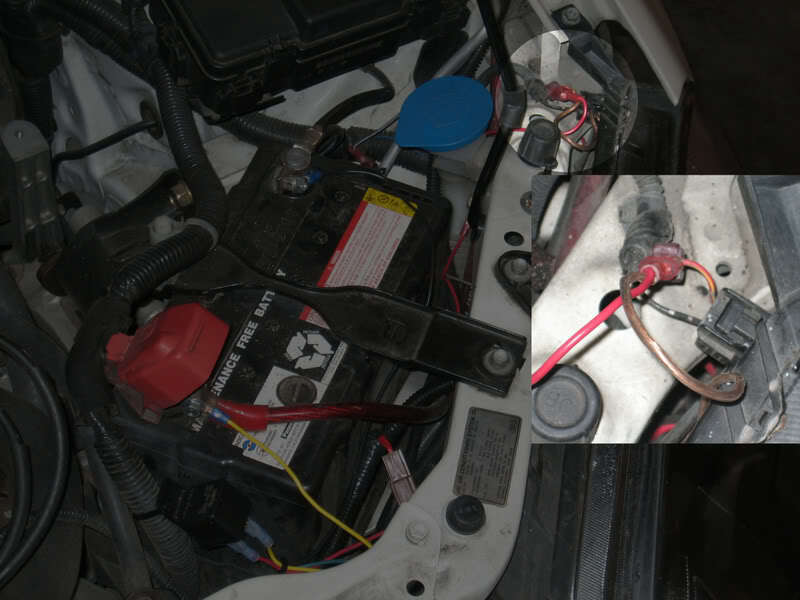 NOTE* It’s a good idea to put a fuse inline between the battery and the relay. We didn’t have one at time of install but have put one on since. Now. 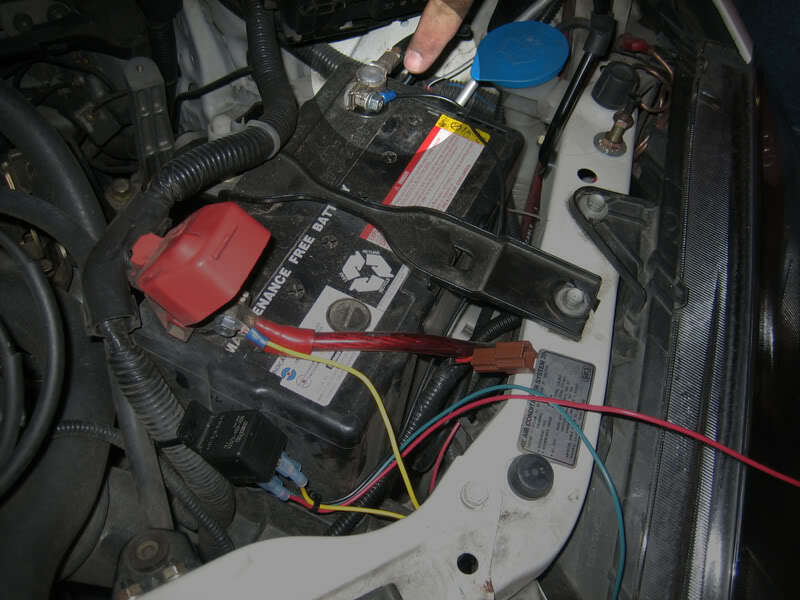 Connect the black wire to the Negative Terminal of the battery. 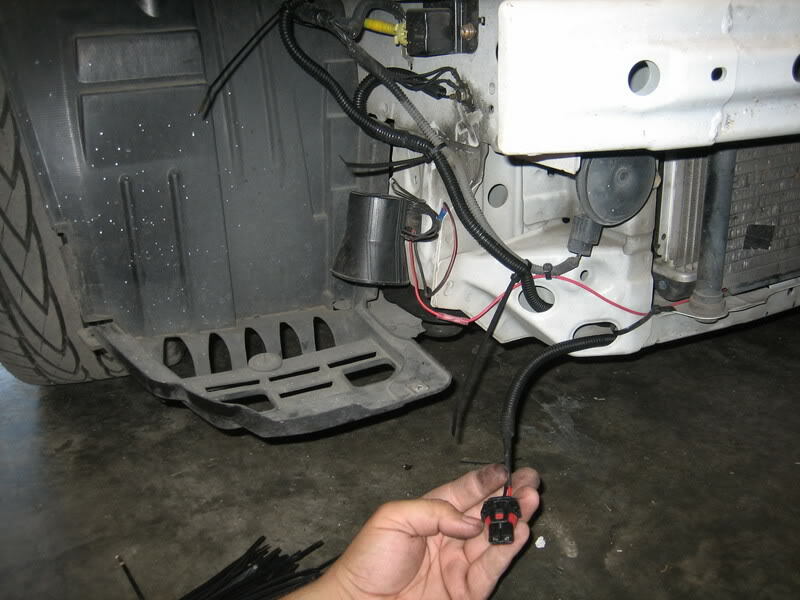 T-Tap or T Splice the Red/Yellow wire going to your corner light. Connect the red wire from the relay to the corner light wire. 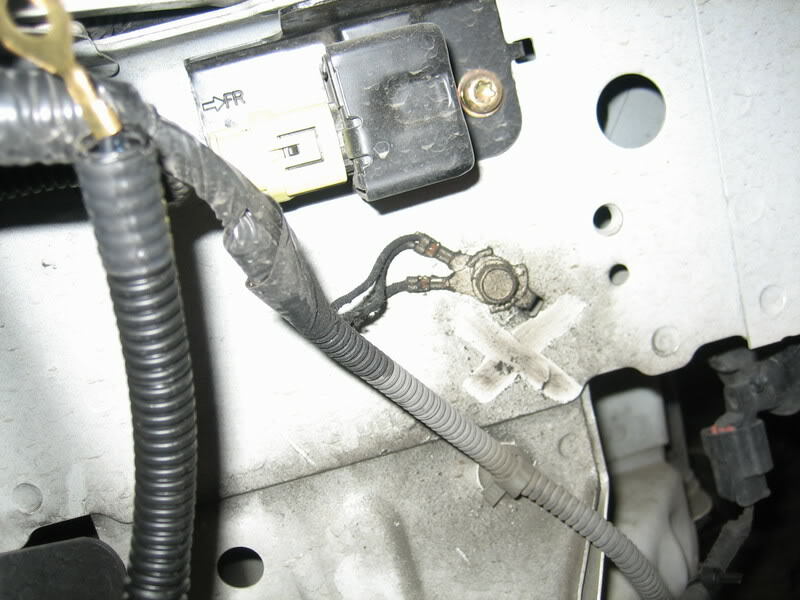 NOTE* The other wire in photo is the power wire from JDM sidemarkers. Don’t worry about that wire. 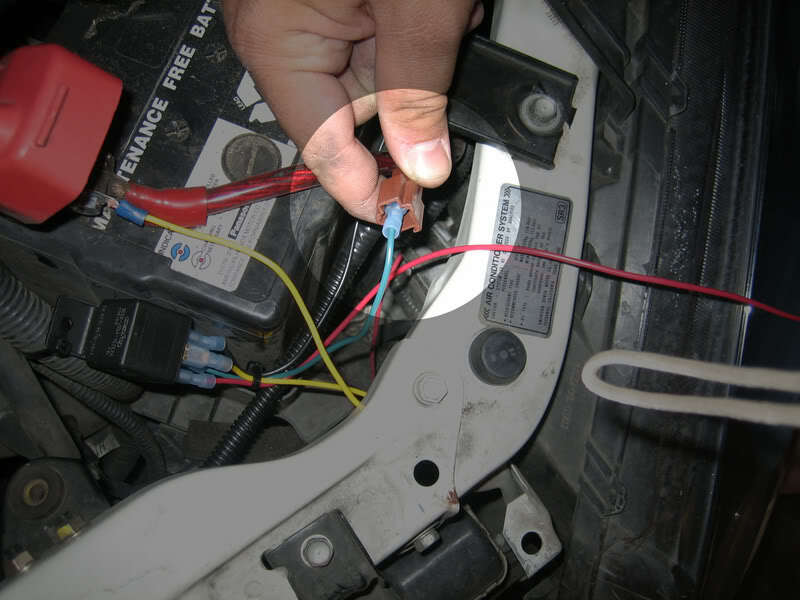 Now use a female spade connector to connect the green wire to the fog light harness’ brown plug. Wiring up the relay is now finished. You can zip tie all the wires to make everything look clean. Next up is the scary part. 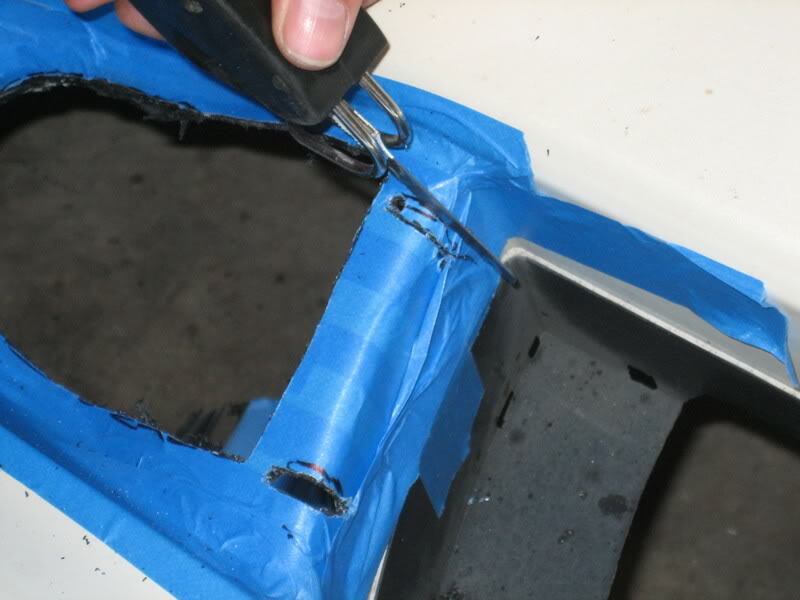 Cutting your bumper. You can use templates. I couldn’t get them to print out to the right size so we just eyed it. Definatly don’t try that if you’re inexperienced with cutting. There are templates on this site you just have to find them. First. 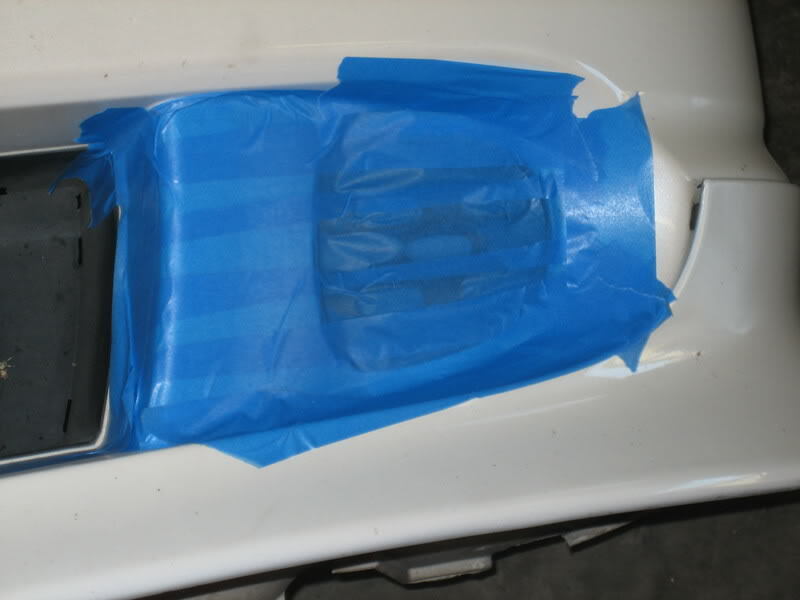 Tape off the area that is going to be cut. We used a Matco Airsaw to do the cutting. 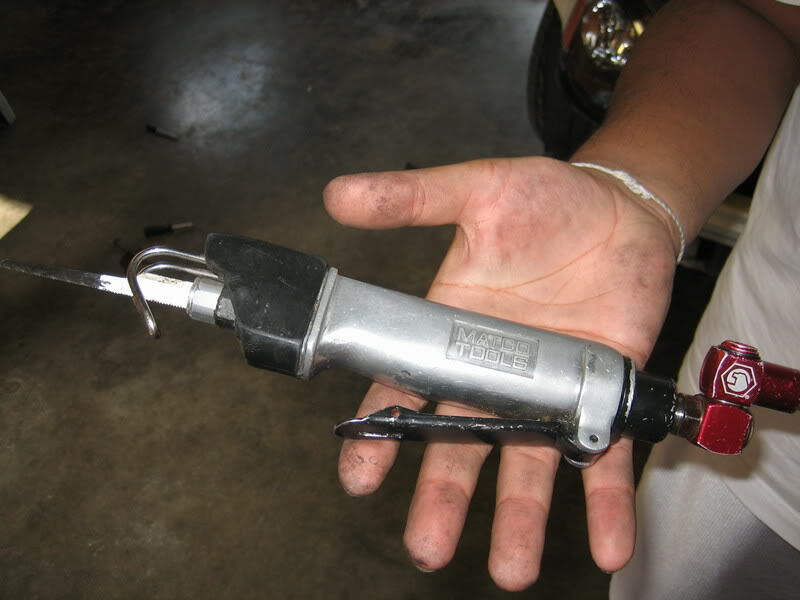 You’ll need an air compressor to use this tool though. 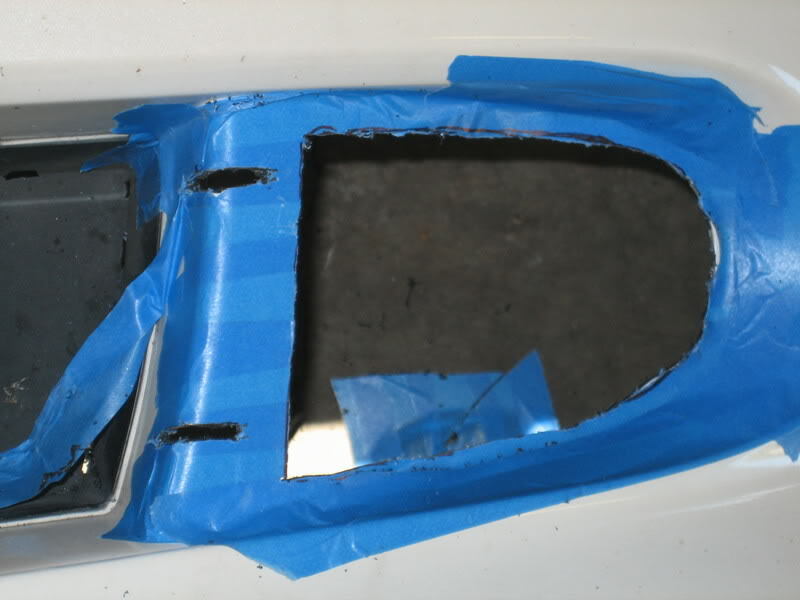 Be sure to cut in bursts or else the plastic on the bumper will melt. That goes for dremels too. Like I said we eyed it. 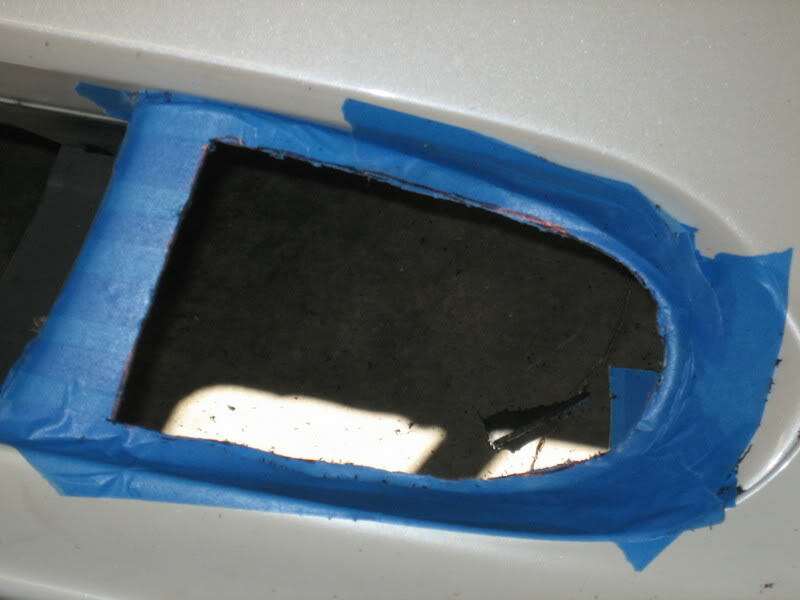 We cut out the black part first and then just modified the opening as need for clearance. 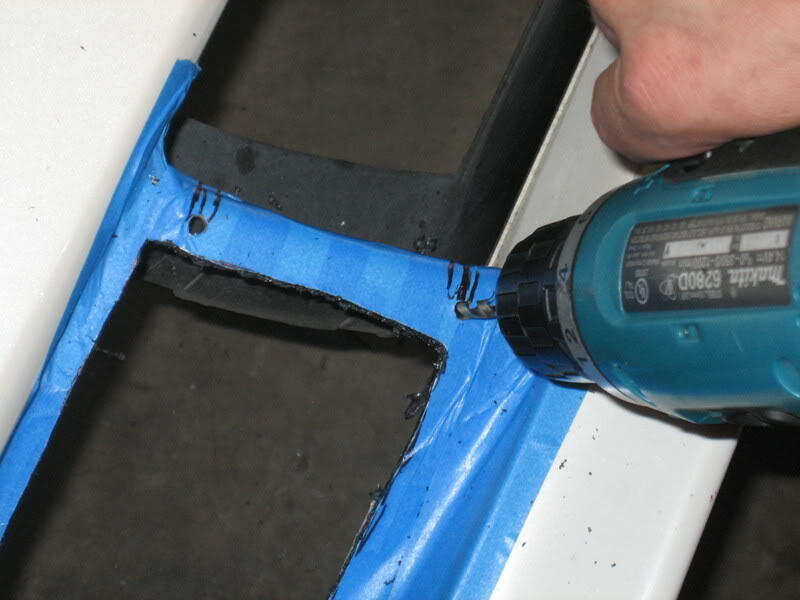 Then use your cutting tool to make the notches. Make sure you test fit before moving on. 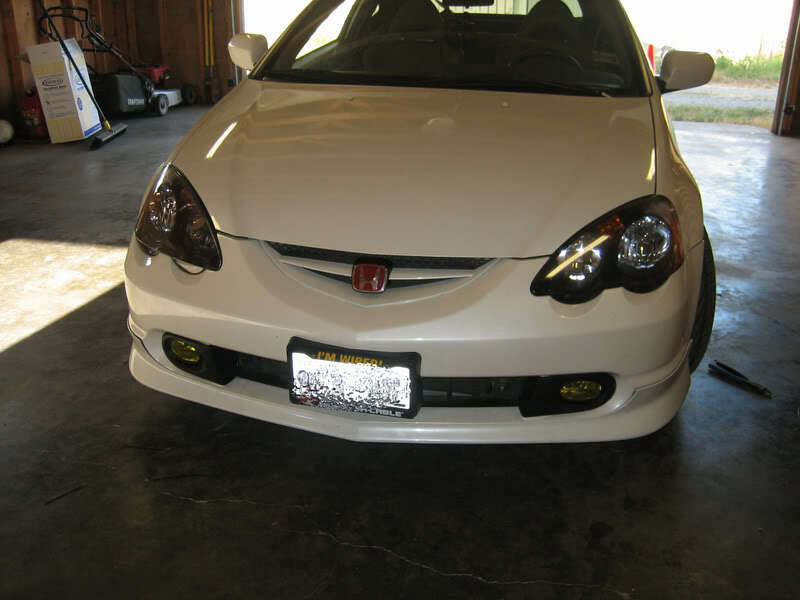 The fog light should fit flush or almost flush. 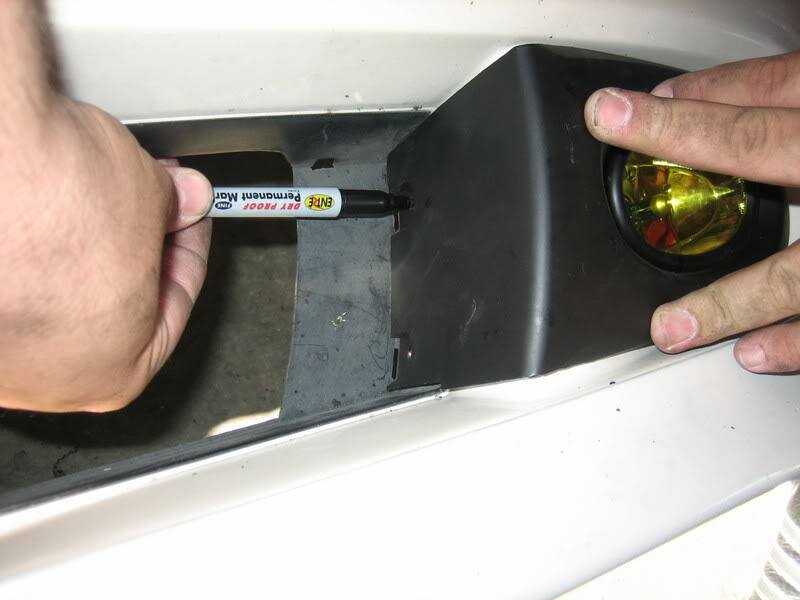 Put on the fog light and mark the holes for the screws with a sharpie. And drill out the holes. Slide the clips that come with the kit into place. NOTE* The slots that the clips slide into will have to be modified for the clips to fit. 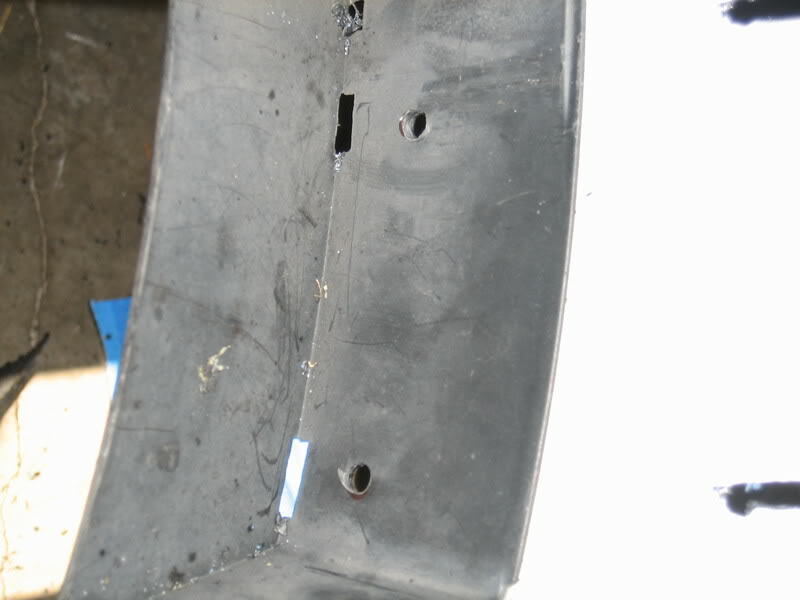 Now it’s time to put the front bumper back on and secure it with the clips and screws. 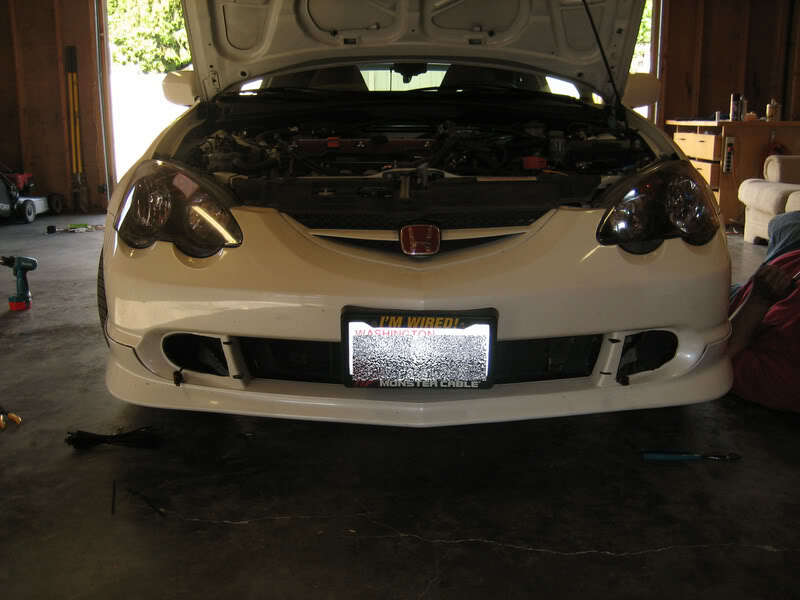 Pull the fog light plugs through the new fog light holes. 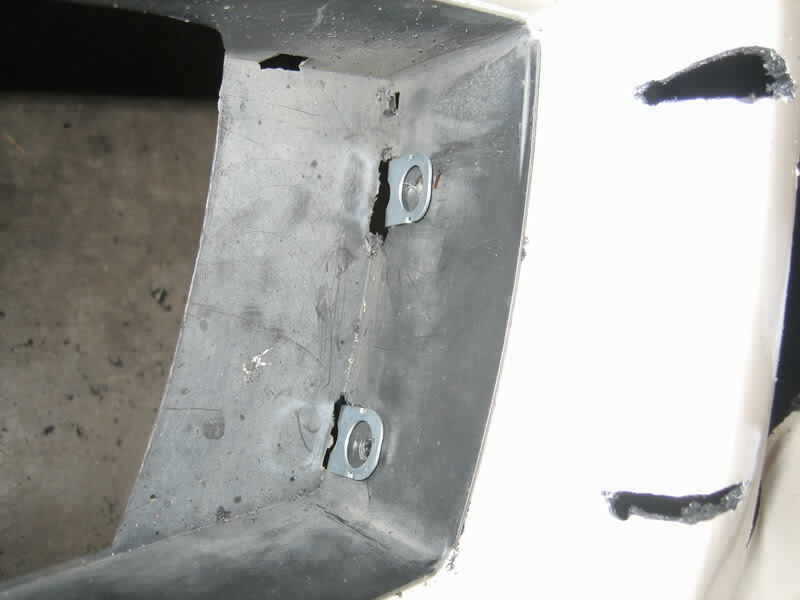 Now install the fogs and secure them with the supplied screws. And you’re done!! Turn those bad boys on!